possible ways in which temperature may be used both as a parameter controlling the evolution of other variables through which brain activity is observed, and as a collective variable describing brain activity. On the one hand, temperature represents a key control parameter of brain phase space navigation. On the other hand, temperature is a quantitative measure of the relationship between spontaneous and evoked brain activity, which can be used to describe how brain activity deviates from thermodynamic equilibrium. These two aspects are further illustrated in the case of learning-related brain activity, which is shown to be reducible to a purely thermally guided phenomenon. The phenomenological similarity between brain activity and amorphous materials suggests a characterization of plasticity of the former in terms of the well-studied temperature and thermal history dependence of the latter, and of individual differences in learning capabilities as material-specific properties. 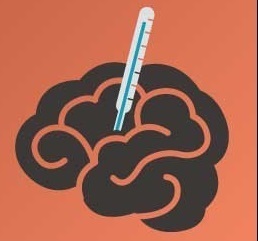 Finally, methods to extract a temperature from experimental data are reviewed, from which the whole brain’s thermodynamics can then be reconstructed.